Dirty Old Town was written by Ewan MacColl in 1949. 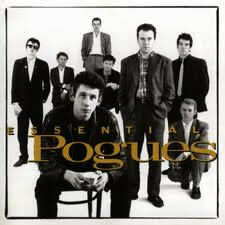 This version features The Pogues - a Celtic punk band originating from London, England. The band has had a colorful history with success, break-ups, re-unions and continued success. THE POGUES chords and lyrics are property and copyright of their owners. "Dirty Old Town" chords and lyrics are provided for educational purposes and personal use only.